"Great experience, Mike is awesome and honest, super clean office. I was very impressed." "Great chiropractor! Dr. Mike is very professional and courteous!" "Dr. V is an astounding individual. He changed my life!" "Dr. V is amazing! He's very kind and always cheerful. Highly recommend V Chiropractic!" "Dr. Mike is brilliant and flexible to treat different pain. Five stars for this doctor." "Dr. Varnay is the best! He's very personable and you can tell he genuinely cares..."
"Dr. V did an amazing job of fixing my shoulder/neck pain. I could not be more pleased." 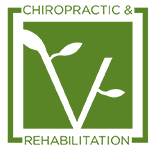 Michael Varnay, DC, is an experienced chiropractor serving men and women from in and around Littleton, Colorado, through his practice at V Chiropractic and Rehabilitation. Dr. Varnay is passionate about his role as a partner in improving health and wellness outcomes and is committed to providing compassionate, personalized care. Dr. Varnay believes strongly in the power of education. He earned his degree from Logan College of Chiropractic in Chesterfield, Missouri. He continues to seek out opportunities to expand his skill and knowledge through continuing education. That dedication enables Dr. Varnay to remain at the forefront of chiropractic advances. 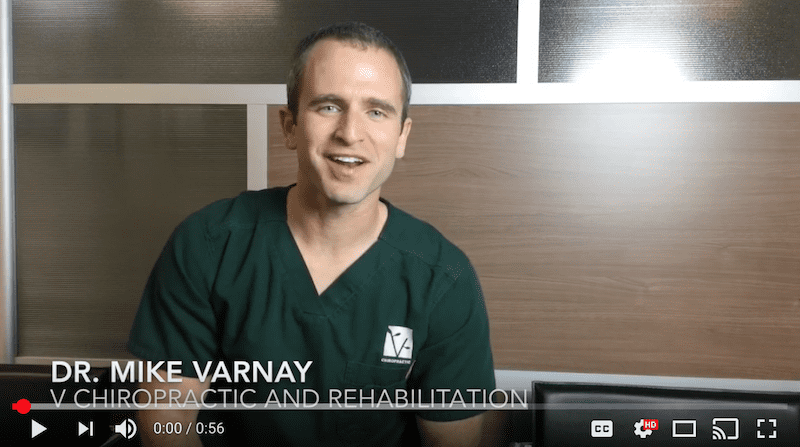 Trained across the entire scope of chiropractic care, Dr. Varnay delivers a combination of manipulation, muscle release, mobilization, and lifestyle modification to address a wide range of chiropractic complaints. His practice is built on a foundational principle that a conservative approach offers the best starting point for treatment. Staying abreast of advancements in medical technology is also important to Dr. Varnay. His diagnostic, treatment and record-keeping services are supported by the latest technologies and are routinely updated. Personalized care is another way that Dr. Varnay stands apart from many chiropractic providers. He takes the time to truly get to know you. He believes that understanding your unique history as well as your treatment needs and goals allows him the best chance to help you make the most of your life. To that end, sessions are never rushed, and Dr. Varnay is routinely available through email or by phone. If you’re looking for a chiropractor who places your needs at the center of every interaction and who has the skill and training to achieve lasting results, book an appointment with Dr. Varnay today. After sitting down with him and discussing his unique approach to chiropractic care, you may just become the newest member of the V Chiropractic and Rehabilitation family. Dr. Varnay discusses his newest treatment option, Shockwave Therapy. "Dr. Mike treats me like a human being with feelings and is very compassionate and patient. Of course, he's also brilliant at helping me with rehabilitation." "Dr. Mike completely wiped out the massive shoulder and neck pain I was having over a few weeks of dry needling treatments." "Dr. Varnay has been a Godsend. You will not find a more sincere person to work with. If you’re looking for a chiropractor in the area, I absolutely suggest Dr. Varnay." " Dr. V made adjustments and needling that helped me continue with work and not be in as much pain. I highly recommended." "Dr. Mike is professional, friendly and informative. His office offers a relaxing environment. It is clean and well decorated. I highly recommend Dr. Varnay." "I would recommend Dr. Varnay wholeheartedly to patients and friends alike. He gets to the point, treats you and follows up effectively." "Dr. V was amazing. He was personable and professional and better yet, increased my mobility in an instant! I will be back and I will send my friends and family his way."